Outreach director for CPS's Caring Economy Campaign. Valerie's work appears extensively in social media, @WomanInDC on Twitter, Your (Wo)Man in Washington on Facebook, and blogging for Mom-mentum.org. She also has written for The Shriver Report, Brain/Child Magazine, and is frequently featured on BlogHer.com as well as the CPS and CEC blogs. With exquisite sensitivity, a new documentary called CARE deftly weaves the stories of two elderly women and two chronically disabled men with those of the four women paid to care for them. In spite of the geographic, racial, income, and ethnic diversity of the subjects, their struggles spring from a single source: the lack of value given to care. There are many deeply affecting moments of compassion and rich human connection in CARE. Surrendering to the care of others requires immense courage and faith in the basic kindness of strangers. Preserving the dignity of another person, even when it means heartbreak, loss, and, living in a shelter, is a heroic act. Our need for each other emerges as the defining transcendent mark of our common humanity. CARE reminds us how foolish we are, behaving as if we will never grow old, never fall ill, and never be dependent on the physical and mental strength of other people. There are no winners here. According to the Family Caregiver Alliance, about 12 million Americans require long-term care, two-thirds of them over age 65. In the next 35 years, the number of people using paid long-term care services will more than double to approximately 27 million due to the explosion in our aging population. If present trends continue, more of us will face a sharp decline in cognitive ability as well as physical impairment. On the caregiving side, 20% of all US households currently deal with adult caregiving demands. Over 65 million Americans provide care to an ill, elderly, or disabled family member. Almost 9 million provide care to someone with dementia. Two-thirds of elders receiving care get all of it informally from family, usually wives and daughters. One quarter use a combination of paid help and informal care. The vast majority of caregivers are women. 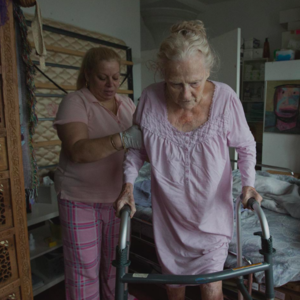 The strain on family caregivers is immense. 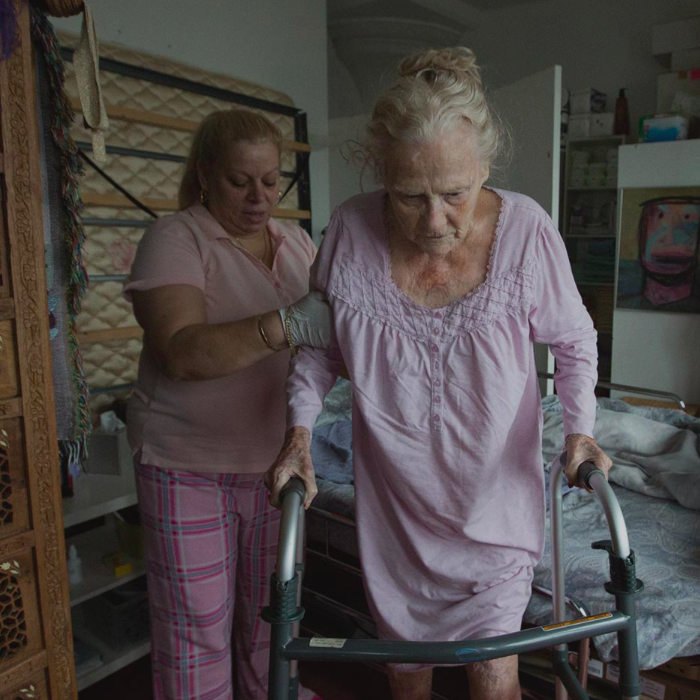 On average, a family caregiver loses over $300,000 in income and benefits in her lifetime. Indeed, the failure of US policy to support caregiving in tangible ways that put food on the table and a roof over people's head is a major reason for the disproportionate poverty of women. How does the US compare to other countries in terms of crafting an infrastructure of care to help us age in place, maintain a level of optimal functioning, and promote an adequate supply of skilled caregivers? The Center for Partnership Studies' Caring Economy Campaign provides the metrics that answer this vital question. Its Social Wealth Economic Indicators Report reveals that only 0.5% of our GDP goes to public funding of long-term care expenses. In countries where family care is shared between men and women, like many Nordic nations, public investment rises to three times as much: 1.5% of GDP. (Sec. 3.1.5). Jobs in the direct care field -- the fastest growing occupation -- are also paid less in the United States than in other developed nations. Rather than offering good jobs that support families and fuel the economy, many paid care providers depend on public assistance and work-related health issues are common. As the Social Wealth Economic Indicators Report states, improving the remuneration for these jobs "will not only benefit families (by supporting employed family caregivers) and local communities (since direct-care workers spend largely on locally produced goods and services in their communities), but also create economic resilience (since direct-care jobs are usually recession-proof and can't be outsourced), and alleviate the strain on public resources." (Sec. 4.3). With appropriate policy supporting care work, the costs to public health programs can be contained. Families will be able to sustain their financial stability in spite of caring for loved ones with long-term illnesses. Living wages commensurate with the training, effort, and exertion required in caring for a frail or disabled adult will enable caregivers to provide adequately for their own families. And all of this decreases the need for public assistance and strengthens the economy. But in order to get there, we have to start now. That's where Social Wealth Economic Indicators can be helpful. They show that adequate support for both paid and unpaid care work is essential not only for those requiring care and those providing it, but to build a stronger economy and a healthier society. Riane Eisler, JD, is president of the Center for Partnership Studies (CPS) and author of The Real Wealth of Nations: Creating a Caring Economics. Valerie Young, JD, is Outreach Director for CPS's Caring Economy Campaign and blogs at Your (Wo)Man in Washington.